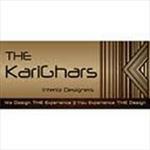 The Karighars - A multi-award winning design company, we offer expert advice for apartment interiors, including: Kitchen design, Bathroom and Laundry design, Wardrobe design, Selections of fixtures fittings and finishes, plus itemised quotations which include supervision of work. A multi-award winning design company, we offer expert advice for apartment interiors, including: Kitchen design, Bathroom and Laundry design, Wardrobe design, Selections of fixtures fittings and finishes, plus itemised quotations which include supervision of work. Our Projects range from contemporary to classical Interior design solutions but are always personalised and complement the property and the people within. With our extensive design sample library and resources, we can create a room to complement every desire, lifestyle, and budget. KariGhars is a combination of two Hindi words - "Karigars" which means "Expert Craftsmen" who are skilled in making finished products out of raw materials, and "Ghars" meaning "Homes". With this name, we want to showcase to people that we are a team of skilled craftsmen who can decorate, design, furnish their dream homes and turn them into reality.